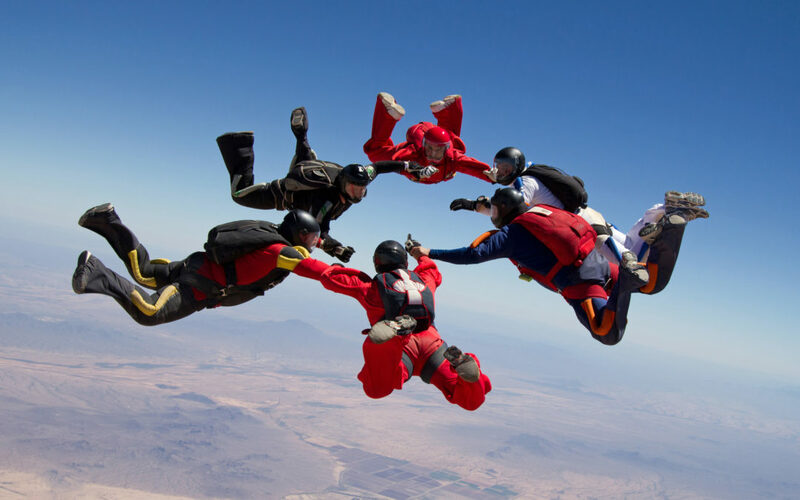 What makes high functioning teams? To answer this question, we first need to recognise what we are dealing with at a very basic level — human beings who have come together from varied walks of life to form a relationship system. A system of interacting and interconnected experiences, families of origin, unique skills, hopes and dreams. Significant inherent complexity is at play and all in one place — the team. It is no surprise then that high functioning teams tend to be the exception to the norm. So, what enables a high functioning team? That very much depends on by what standards you judge it. 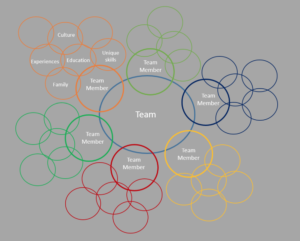 This article proposes that a high functioning team is one that allows its members to connect with their calling in working towards a common purpose. One that embraces the inherent creativity and uniqueness that defines what it means to be human. One that acknowledges the complexity that is created by different individuals coming together (and moving apart) overtime. Out of the above will naturally emerge all the things that are commonly desired in teams: collaboration, innovation, agility and performance. High functioning teams do not appear out of thin air, particularly in a culture that prioritises the pursuit of singular linear targets such as growth, profit and scale to the exclusion of everything else. What enables a team to be high functioning is rather the embodiment of certain attributes at the individual level, which then ripple out to create a healthy systemic team dynamic. The model below identifies six interconnected attributes that work in concert together to create the essential conditions for high functioning teams to emerge. These attributes are intended to be all simultaneously embodied by every member of the team. The model brings together ideas from business, psychology, systemic constellations and the arts. 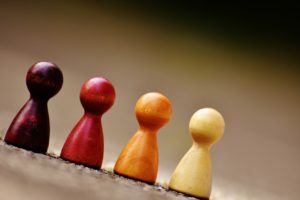 Teams typically involve roles being occupied by different individuals joining and leaving over time. The individual is transient and the role more permanent. This is particularly true in mature teams within larger organisations. Recognising and honouring the time order of things and what came before is essential to supporting a healthy team dynamic. This also creates strong foundations for future members to build upon. For example, a new CEO who is quick to dismiss the work of her predecessors is less likely to be able to effectively occupy her position and gain the support of the wider team. She is likely to alienate team members still secretly loyal to those departed, because the contributions of the departed have not been acknowledged and integrated. I believe that as human beings each one of us has a calling — something(s) that we are each uniquely attracted to and energised by. Whether it is architecture, music, chemistry or carpentry, we will all have something. The more that team members occupy roles that connect to their calling, the more this will support a healthy team dynamic. Members involved in their calling will naturally be more enthusiastic, dedicated and loyal. Team systems that do not embrace calling are likely to suffer from low energy, demotivation and rigidity. Enthusiasm and agility are replaced by the need for rules and bureaucracy in order to ‘control’ unmotivated team members. You will have noticed that skill/competence does not feature in the model. This is because skill is really the product of having a deep interest in a particular area that compels us to delve into it further and master it. High levels of skill are really the product of calling. Rigidity and dispassion in teams is also very much related to how team members engage in what they do. 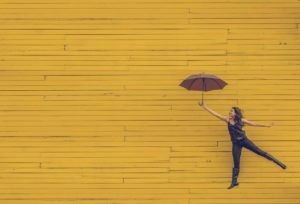 Is the approach to work characterised by achievement centred earnestness or rather curiosity and interest— play? 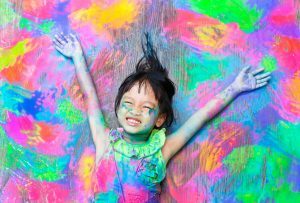 Calling it a “biologically programmed need”, psychiatrist and clinical researcher Prof. Stuart Brown coined the term ‘play’ to describe the childlike curiosity and zest with which we could engage in everything we do. He identifies the “apparently purposeless” nature of play as one of its defining charactersitics. 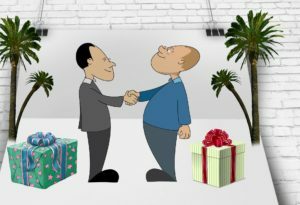 Our cultural bias towards measurable linear forms of success in the form of accolades, wealth and status make the notion of play as a basis for living and working almost unfathomable to many. Yet, it is what underpins real skill. Paradoxically, when we play the results will flow. Combined with Calling, play creates the basis for the development of significant skill within teams. Without play even those of us who have found our calling can be limited in our development, which then in turn limits the team. You are probably beginning to now see how the different attributes of the model work together. Secrets, marginalised team members and non-talked about ex-colleagues are common examples of not allowing everyone their unique place. Attempts to shut down people or forget difficult events can often lead to unresolved dynamics associated with these reappearing with greater force later. No matter how dedicated and skilled team members might be, they still need a shared purpose to coalesce around. A team without a shared purpose is like a ship without a rudder. And, that shared purpose needs to be wholeheartedly embraced by everyone in the team. Lack of clarity around why the team has come together can generate systemic confusion and conflict. Personal agendas may begin to masquerade as ‘shared purpose’ and this is almost certainly a path to dysfunctionality. Passionate, dedicated and curious individuals that have come together around a common purpose must still be mindful that there is balance in giving and taking within the team. For example, a tendency to give too much can often underlie employee burnout in organisational teams. Balance of exchange is reinforced by Play and Calling in the model. You are far less likely to give too much if you deeply connect with your work and engage in it with playful curiosity rather than rigid striving. 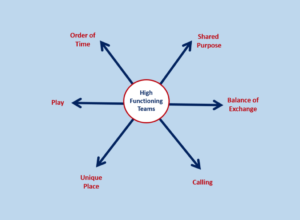 This model for enabling high functioning teams involves interconnected attributes that work together and reinforce each other. They are attributes that must be simultaneously embodied by all members of the team for maximum effect. Ignoring any one of the attributes can affect both the health of the team and those within it. The model takes courage to embody because it involves counter-cultural shifts in our approach to work. Some may view it as slightly idealistic or asking for too much. I would challenge that view and suggest that we need to aim higher if we are really serious about making the best of each other and our unique gifts as human beings. Thanks for sharing this. There are some very powerful insights which really resonate with me. I’m not sure I’m persuaded that the outcomes are quite as inevitable as you suggest “Out of the above will naturally emerge all the things that are commonly desired in teams”. Partly because individuals them selves can be variable/ volatile and so the dynamic can be regularly shifting. Maybe that’s agility or adaptability. A really high performing team can compensate for short term loss of individuals, focus, or one of the dimensions. Hope things are going well. Glad to hear some of it resonated. Indeed, “naturally emerge” is perhaps too definitive. And, I suppose part of the challenge is to acknowledge and embrace such volatility as being inherent, and where possible to take time to attend with care to such dynamics as members joining and leaving. Is there another something that might more directly enable agility and adaptability? Great question. I’ll have to give it more thought. Thanks for reading and sharing your perspective! Hope you’ve been well.